It’s always a bit of a chore to think of school lunchbox ideas that are yummy, but also easy. 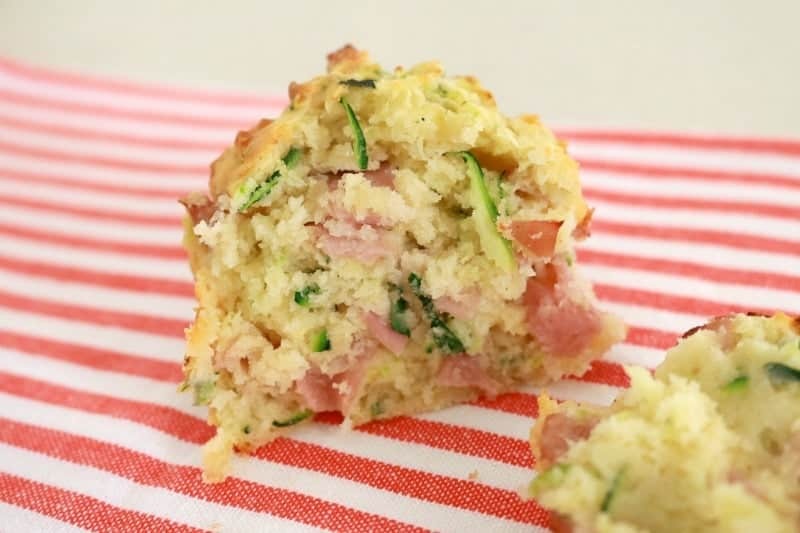 These savoury muffins are just that! They take less than 10 minutes to prepare and taste great. 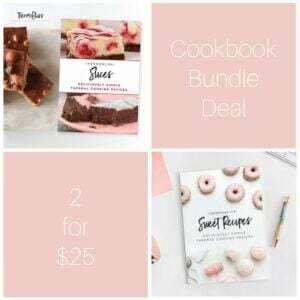 Best of all, you can make a big double batch and freeze them individually. 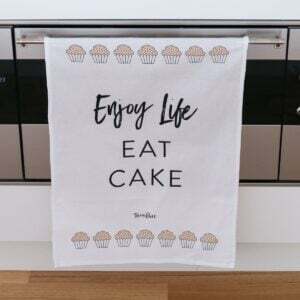 This means that lunch is ready even on those days you’re in a total flap and running around like crazy… yep we all know those days! You can mix and match the recipe to include any other vegetables you have lying around. I find that corn and chopped capsicum are yummy little additions too! And if you don’t have any buttermilk, then simply make your own by adding 1tbs of lemon juice or vinegar into a cup of room temperature milk and stirring to combine. 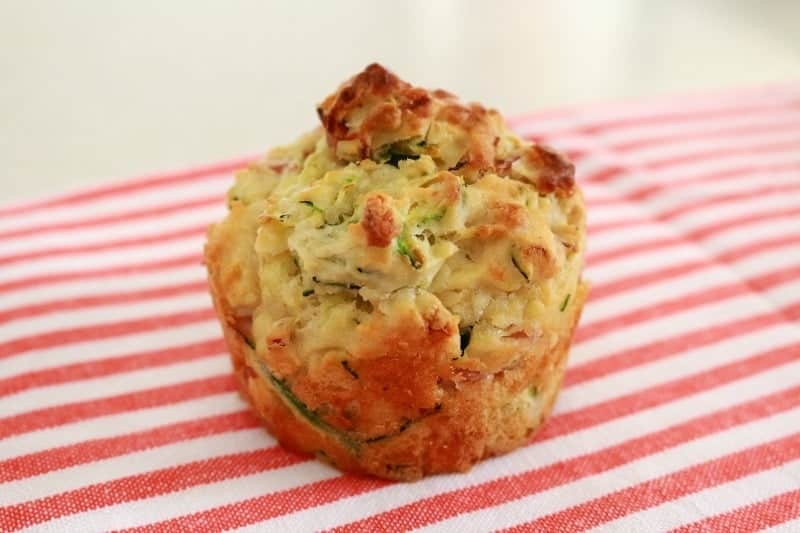 The buttermilk is what keeps these muffins perfectly soft and fluffy. What are your favourite lunchbox recipes? 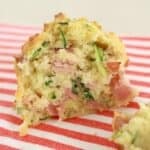 These Lunchbox friendly savoury muffins are so easy to make in the Thermomix! Grease and line a standard 12 hole muffin tin with muffin cases. Preheat oven to 180 degrees (160 degrees if using fan forced). Grate cheese on Speed 6 for 10 seconds. Set aside. Grate zucchini on Speed 6 for 5 seconds (or until finely grated). Place into a sieve or strainer and drain all of the excess liquid out. Return zucchini to the Thermomix bowl. Add all remaining ingredients (including the cheese) and mix for 20 seconds, Speed 3, Reverse. Scrape down the sides of the bowl and mix for a further 20 seconds on Speed 3, Reverse. Bake in the oven for approximately 15 minutes or until cooked through (test with a skewer). 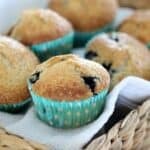 Leave the muffins in the pan to cool slightly, before placing onto a wire rack to cool completely. I do love a delicious wholesome lunchbox treat! 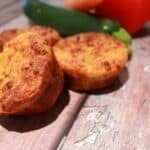 Can I just substitute any veggies in this recipe? Hi, mine have been in the oven for ages and they are still soggy in the middle. I did add a few different veggies but drained them so thought it would be ok. Any suggestions on what I’ve done wrong? My kids didn’t like these, they complained they had no flavour. Yes you can but you’ll get a different texture. You could also try coconut oil! Looks great. I have a batch in the oven ? I have added a small onion and replaced half zucchuni.with fresh tomato (deseeded) and a 1/2 tspn italian herbs. Will report back on resuts ? These are yum! I added corn kernels & chopped chives. My muffin tins must be smaller, because it made 21 and not 12 as indicated. Do I grate the zucchini in the thermi or before it goes in? Not sure when to drain it?? Hi lee, thank you for noticing this! I’ve just added in to the recipe when to drain the zucchini and then to pop it back into the Thermie bowl. Thanks! I made these and enjoyed them. However, I would be a lot more comfortable if the ingredients came in weight rather than in volume. I will be more confident about doing them again. Thanks! 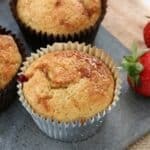 Great muffins!! Thank you so much for the receipt! Love your site! 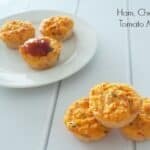 Just made these and they are delicious! Added a drained small can of corn kernals and as I didn’t have any buttermilk I used 180g of full fat milk and 2 teaspoons of white vinegar. Yum. Thank you!! I followed the recipe to the letter and after baking and cooling they tasted fine. But the next day when presented at morning tea at work, everyone commented on the weird floral aftertaste.